While most auto care stores have a generic, impersonal vibe and don’t adequately capitalize on the enthusiasm that many people have about caring for their cars, we envisioned a spacious location that welcomed customers with a relaxed atmosphere, and set about creating a better auto care shopping experience.By combining our proprietary Smartwax and Chemical Guys product lines with the latest in detailing tools from Torq Tool Company and educational car care classes, we created Detail Garage. After opening our initial location in California, our store quickly became a place where car enthusiasts of all ages could comfortably hang out, test new products, and ask the opinion of helpful, knowledgeable, staff. If thinking about your car gets your heart pumping, if you live and breathe the idea of fun, if you like talking about cars and hanging out with amazing people just like yourself, a Detail Garage® store could be just what you’ve been looking for. To find out more about opening your own Detail Garage, request more information below now. 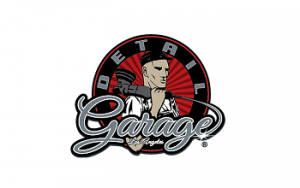 When you become a Detail Garage franchisee you have access to our proven business model and the successful results of our product testing and research. You will go to work each day knowing you personally are helping people, offering your customers only the finest quality car care products that exist in today's market, and more importantly you will be part of a worldwide family.